First, let me explain the source of this wonderful traffic – review sites. Review sites like Yelp, Google, Yellowpages, and niche review sites for your industry, are amazing sources of free, ready-to-buy traffic (more on this below). 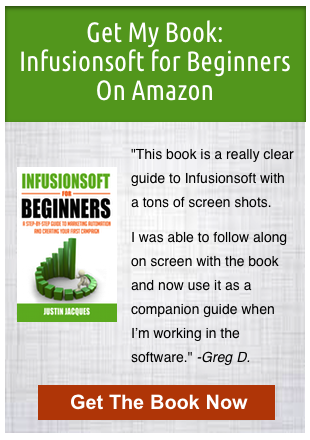 The key is using Infusionsoft to create an automated, consistent process to grow your positive reviews, instead of letting reviews happen organically when clients feel like it. Being passive about your reviews can also result in more negative reviews bubbling to the surface. With a consistent process to drive more positive reviews, you can easily drown out any negative reviews, as well as improve your SEO ranking and increase your credibility. Paid traffic, like Facebook ads or Google Adwords, can be expensive and hard to figure out on your own. Organic referral traffic from review sites is completely free and, if you do this right, really easy to get. 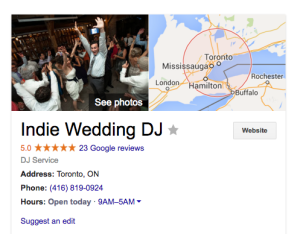 I initially discovered this amazing traffic source in my first successful business, Indie Wedding DJ. 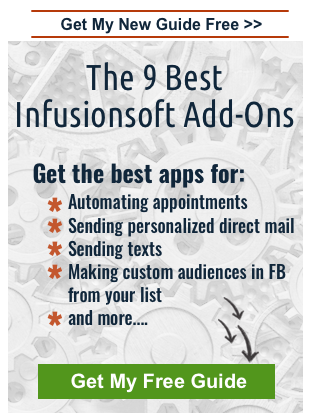 Click here to read the story of how I leveraged Infusionsoft to become a premium service. 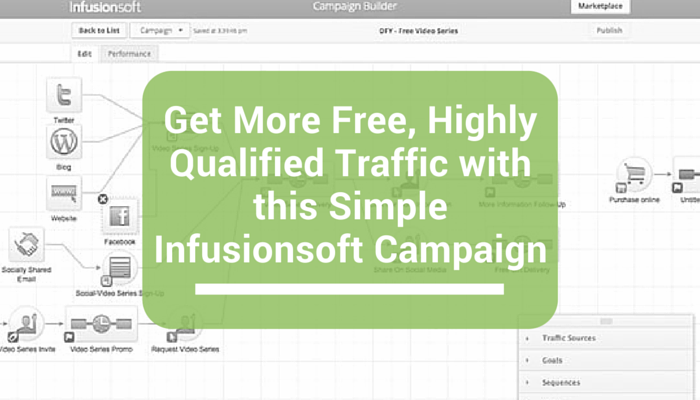 About one year after setting up this Review Request Campaign in Infusionsoft, I was able to COMPLETELY turn off my paid advertising. 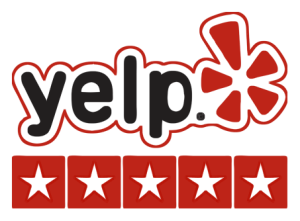 While running that business I gathered over 100 reviews between Google and Yelp along with industry specific sites like Wedding Wire and The Knot. With this free traffic I had enough leads to book as many weddings as I wanted. The reason – not only do you get traffic from review sites, you get highly qualified, ready-to-buy traffic. I had 31.82% of people that came from Yelp, opt-in to check my availability! That is a ridiculously high conversion rate on an action like this. You won’t need to spend nearly as much time convincing people to book you, which means not as many meetings, emails and phone calls. 1. Decide on an appropriate time frame to ask for a review. This could be upon completion of a contract/project/course or, if they’re an ongoing client, a certain time frame that will give you enough time to build a rapport with the client and experience working with you. 2. Next setup an automated email asking them to fill out a simple, one question feedback survey. Emphasize how quick and easy this will be and that you really appreciate it. 3. The survey link in the email should redirect to an Infusionsoft form asking them, on a scale of 1-10, how likely they are to recommend you to a friend. If the person answers 8, 9, or 10, automate an email that thanks them and asks them to leave a review on one of your review profiles. I use a very specific formula for this email to make it as easy as possible because that’s the key to this whole process, making it quick and easy for the client. If they answer 6, or 7 then automate an email asking what you could have done better. This will allow you to improve your business, as well as minimize negative feedback on review sites since you’re reaching out to them and listening to their complaint, making it less likely they’ll take it to a review site. If they answer 5 or below, set up a task reminder to call this person. Find out what went wrong and see if there’s anything you can do to fix it. This will also minimize negative reviews. That’s it! The only step that could require any manpower, otherwise the whole system is completely automated. Client’s I have set this up for, as well as myself, have managed to grow their reviews and traffic significantly. If you’re interested in having me set this up for you, I can do it within 1-2 business days. Just click here to book a time to discuss whether this campaign is a good fit for your business.